One way to lessen the damaging effects of stress is to learn ways to relax, whether through picturing a calming scene in your head, engaging in a favorite hobby, or performing a relaxation exercise. Once you learn a technique that works for you, you can use it before a stressful event. For the most benefit, however, you should set aside at least a few minutes each day to allow your mind and body to unwind. 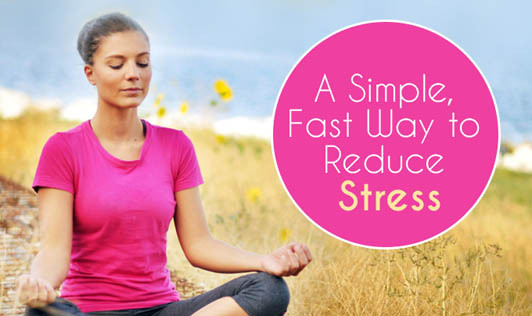 Relaxation exercises that release muscle tension can help a lot in coping with stress. To do them, you need to sit or lie down in a quiet, comfortable place where you will not be disturbed. Loosen any tight clothing and remove any jewelry that is uncomfortable. Your aim is to tighten, th­en relax, muscle groups in sequence, from head to toe. Tightening the muscles increases your awareness of what stored tension feels like. Relaxing the muscles, in turn, lets you feel the difference between being tense and being loose. Begin with the muscles in your forehead. Tense them by crinkling your forehead; hold this tension for about five seconds; then release the tension. Imagine a wave of relaxation washing through the muscles. Inhale deeply, then exhale, allowing the muscles to relax even further. Continue the process with your eye muscles by closing your eyes tightly. Work your way down through various muscle groups including your toes. After you are finished, lie still for a minute or two to enjoy that relaxed feeling. While everyone has to deal with stress to some degree, prolonged stress can have negative health effects. However, if you follow our simple steps, you should be able to make your life more tranquil.